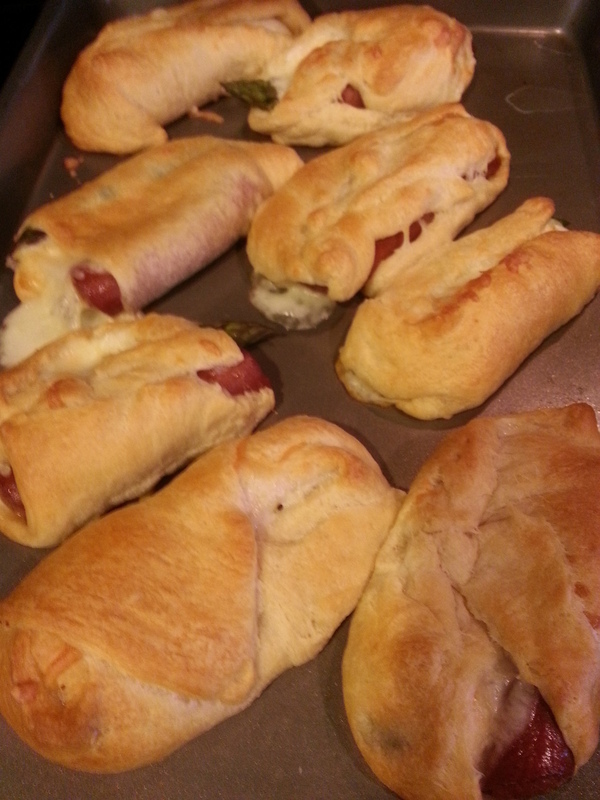 Hot Dog, Asparagus & Mozzarella Filled Pillsbury Crescent Rolls. Ready in like... 10mins. I freeze these and then re-heat them in the toaster oven (or microwave) for a fast meal when time gets away from me...as it occasionally does.